Madison Cain tips the ball to retrieve a point in the first set. 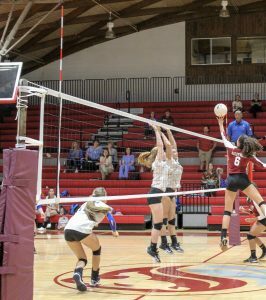 Haleyville High School varsity volleyball team wins best ⅗ area games. The final score was 3-1. 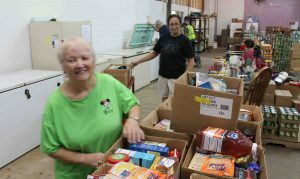 Betty McDougal and many other volunteers distribute free food, clothes, furniture, meet contacts for health care, GED education, and counseling at Main Street Ministries on Highway 195 downtown Double Springs to hundreds of people every week. Recipients must register and qualify, but once they do, the resources available to them are amazing. 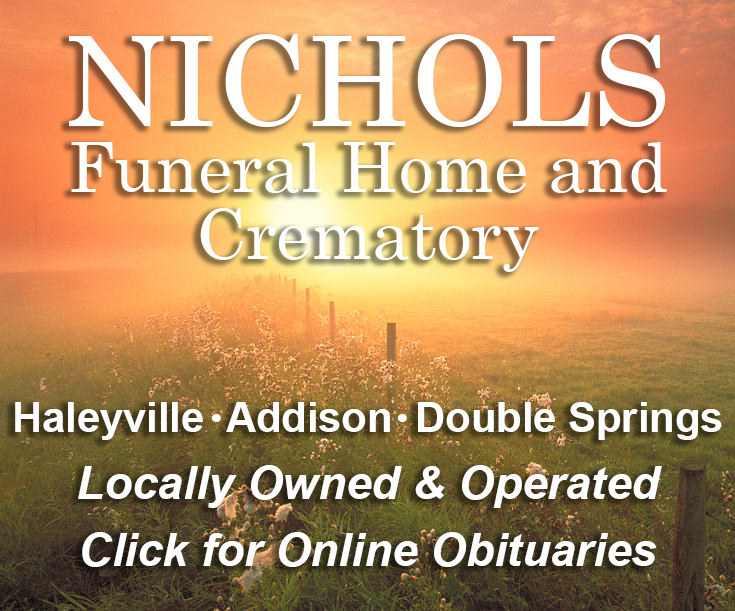 Once a year, two entities, Main Street Ministries and the Winston County Arts Council come together to produce a fantastic and delicious fundraiser. That event is TONIGHT. 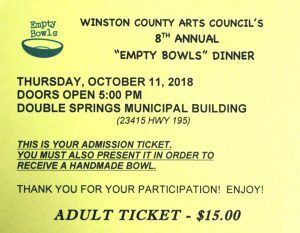 It’s called Empty Bowls and is held at the Double Springs City Hall (the old National Guard building on Highway 13 South of Double Springs). Volunteers cook up their favorite soup (including at least two or three kinds of chili) and personally serves it throughout the evening from their crock pots. You can pick out a beautiful unique handmade bowl to take home. You are given styrofoam bowls to eat from and you can have a sample of every one of the many soups available. Fresh bread is provided by the volunteers at Mainstreet Ministries as well as door prizes given out during the evening. It’s a night you will not forget. I don’t normally personally endorse events, but this one is special. I have been going for several years, and my collection of bowls is still growing! 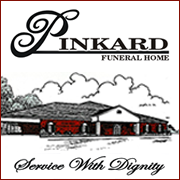 Tickets are available at the door, serving starts at 5 p.m. today.